Sure, you probably have a few pairs of ankle boots in your collection by now, but why not add a few more? Exactly. After all, this is the one shoe silhouette that does the most work for you this time of year, so having a healthy assortment of the perfect pairs to work with every ensemble and occasion is worth it. But this doesn’t mean going out and dropping all your cash on brand-new styles (although if you want to, live your life). There’s actually a huge array of forward on-sale iterations out there upward of 60% off, starting at just $39. 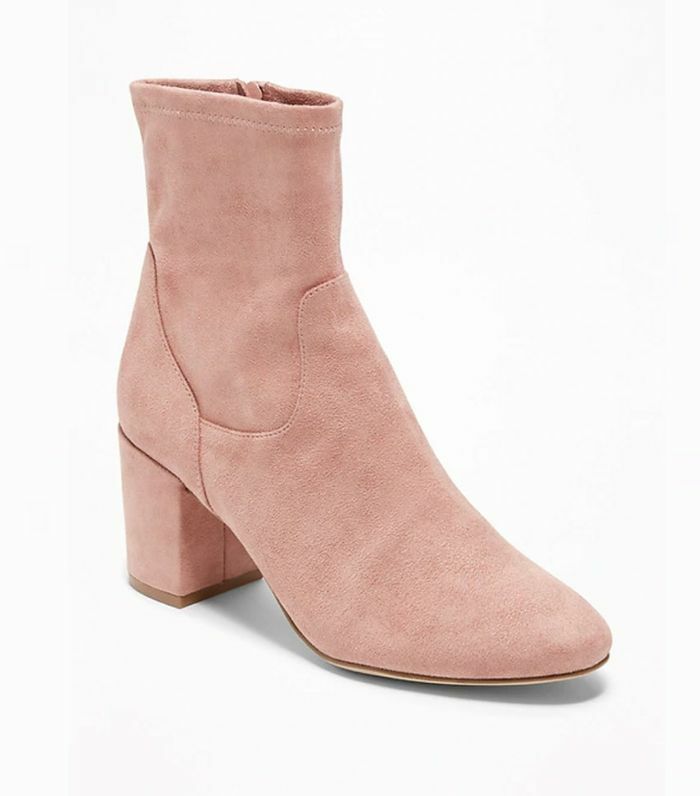 Keep scrolling to check out the prettiest ankle boots that are seriously discounted. But you better act fast; these won’t stick around for much longer. The faux suede makes these look way more expensive than they actually are. You can’t go wrong with brown block-heeled booties. If you haven’t tested out the leopard-print trend yet, now’s your chance. The studded detail brings a little something different to this classic silhouette. The white ankle boot trend isn’t going away anytime soon. Ready to jump on the Western boot look? Here you go. The burgundy hue feels incredibly luxe. If you’re not quite ready to fully try Western boots like the above pair, these have similar details to dip a toe into that trend pool. If Sporty Spice is more your style, we recommend these sleek sock boots. Don't forget to use the code WWW20 to get a 20% off discount. Yet another reason to try the animal-print look. This shape is especially unique. Yellow booties are so forward for the season. Just imagine these with cropped jeans and a chunky knit—perfect for the weekends. Make a statement in red. These sock boots are made of a reflective material for an eye-catching look. We’re seeing this curved heel silhouette more and more. The shiny heel gives these beautiful boots a special twist. While leopard-print is clearly a major trend, the zebra look is also all the rage. You’ll turn heads in an instant with these hot pink stunners. Check all the trend boxes with these white Western boots. Kitten-heel booties are becoming one of the key silhouettes of the season. Next, check out five pairs of It boots that will sell out in a few weeks.